Lagos and Abuja are you ready? 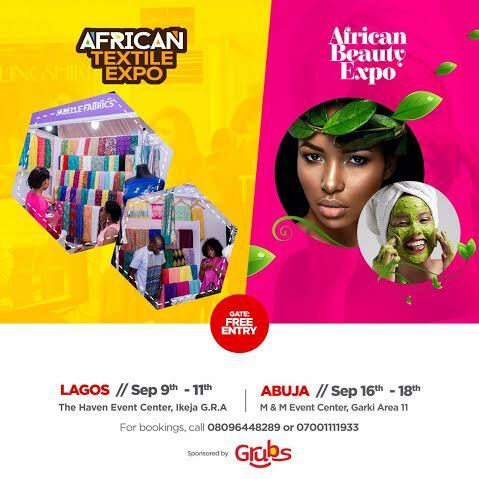 Exhibition Guru is one Nigeria’s major exhibition companies with proof of successful exhibitions and for the first time we are bringing together 4 co-located exhibitions to Lagos and Abuja this September. From the successes of WED Expo over the years, we are adding African Beauty Expo, The Baby Show and African Textile Expo. The Power of 4 cannot be less than a MEGA expo. Your Business cannot to miss this. The Baby Show is a landmark event where everything for the bump, the baby and you can be found under one roof. It is an exhibition and conference you do not want to miss as it brings together the best brands and professions for 3 days. Also items related to children of different ages can be transacted at the show. Baby related services, Toys, Maternity service providers, child care centre’s, Children related service/product providers and more! Nigeria’s Largest Wedding Exhibition is in its 4th year with major successes in making life easier for Brides and Grooms to Be. WED Expo has also assisted several small businesses to boost their brand and get more businesses. WED Expo has also been an avenue to showcase big brands who are also looking into getting the young clientele market. Cake bakers, Wedding Planners, Decorators, Makeup Artists, Photographers, Videographers, Drinks management, DJ’s, MC’s, Accessory Retailers, Hair Stylists, Photo booths and more! 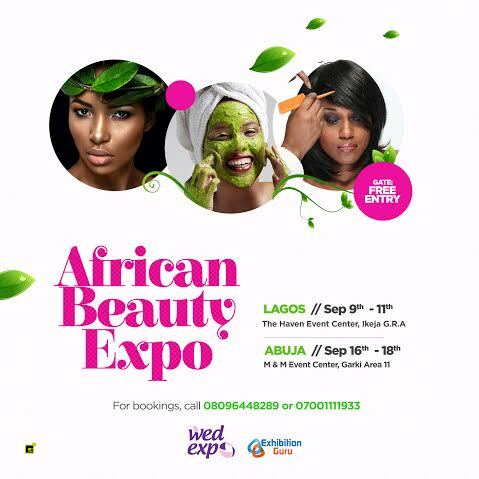 Billed to be Nigeria’s Largest Beauty Exhibition of Origin, The African Beauty Expo cuts across lines in regards to beauty from makeup to beauty, hair, cosmetics and many more. We also dong just focus on women beauty but also men as well and we ensure all our exhibitors get value for what they are getting into as we also bring professionals that educate attendees on different areas. Makeup Brands, Makeup Resellers, Cosmetic Brands, Cosmetic Resellers, Hair Brands, Beauty Retailers, Stylists, Salons, Cosmetic merchants, Importers, Manufacturers and more! African Textile Expo is going to be the biggest textile expo in Nigeria with a cross section of different types of fabrics that the consumer wants. This is a retail event where lots of sales will go on and the best of the best manufacturers and merchants will showcase their products. Textile manufacturer’s, Textile merchants, Small business fabric stores and more! It simply just means more clients for your business and as a guest it means a one stop shop for different items you definitely need.